Here is another view of those picturesque dead trees at Canary Springs. In defense of anticipated criticism for posting so many photos from the same site, I can only say that this was a gorgeous place. And, others have found it so too. 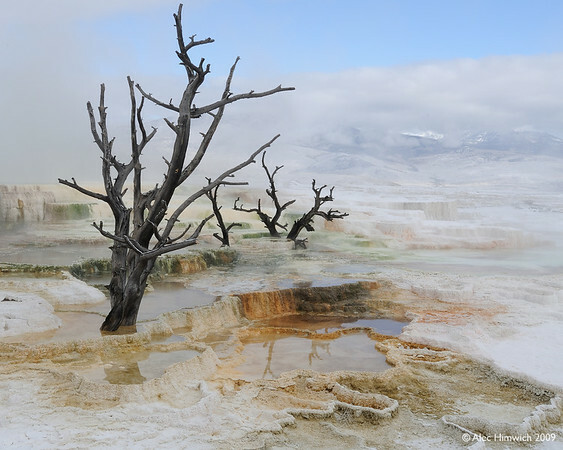 Just Google "Canary Springs, Yellowstone" and you will see many photos of this beautiful place.